To make sure you are always comfy on the couch our new Personalized Soul Mates Valentine Throw Pillows will make your time spent on your couch that more enjoyable! These Valentine Pillow makes a perfect gift for any occasion spent with your loved one. This romantic gift will look and feel perfect while being display on your couch. 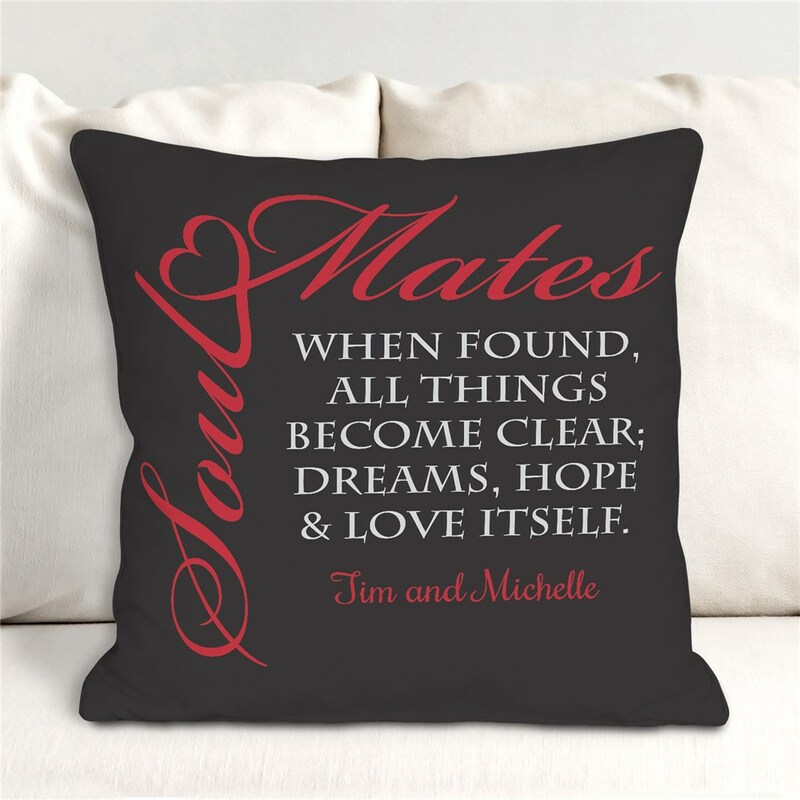 Personalize your Soul Mates Throw Pillow with any couples names. They called me...I made a mistake on my order...they fixed it at once. Order came much faster than expected. Looks good, thank you! Additional Details Shop great Valentine's Day decor, personalized free from GiftsForYouNow! Find Valentine's Day signs and more.